Deceuninck-Quick-Step is ready to kick off his South American campaign in the Vuelta a San Juan. 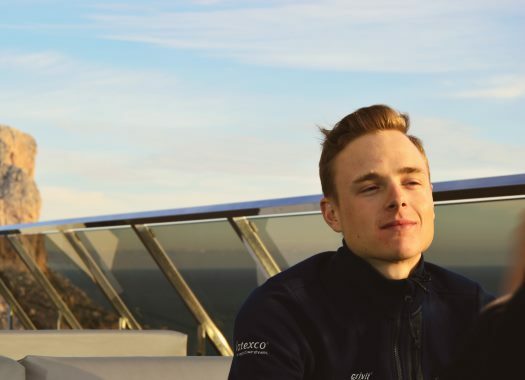 This will be the first race for Petr Vakoc since he was hit by a truck in January of 2018. The last time Vakoc started in a race was in Binche-Chimay-Binche in October of 2017, where he finished in the top ten. The former Czech champion and Brabantse Pijl winner suffered several injuries when a truck crashed against him during a training ride in South Africa and couldn't race in 2018. "I am very eager to finally pin a number after all this time," the rider commented. "I won't hide the fact that I'm a bit nervous, but that's normal because it has been 16 months since my last race. My personal goals are to ease back into the peloton and get used to the race and changes in the pace as fast as possible and help my teammates. "If I can do that, I will look at it as a big achievement. It's my second time in South America, after the 2016 Olympics, and I know how passionate people here are about cycling, so I expect a very nice atmosphere and I'm really looking forward to this experience." The rider will join riders like Julian Alaphilippe, Remco Evenepoel, Alvaro Hodge and Iljo Keisse. "The course is very similar to that of last year, with opportunities for all types of riders, and we are excited to getting things started", said sports director Davide Bramati. "We have a strong and balanced squad, comprising Petr – who has worked so hard to return and we are extremely happy to see back in action – Iljo, who will use his experience to help young Remco throughout the week, two strong guys for the bunch finishes in Alvaro and Max, and Julian, who is starting his season earlier than usual. As you can see, it's a solid team, which we are confident will be up there when it will matter."